October 10, 2015  The two powerhouse musicians are teaming up to interpret the work of Jerome Kern. They join NPR's Scott Simon to discuss what makes a timeless pop song. 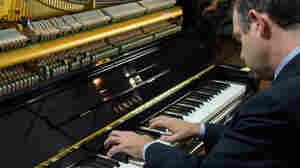 October 8, 2008  One of today's most popular mainstream pianists, Charlap delights in selecting the most attractive standards of yesteryear and rendering them with tactful, warmly familiar gestures. 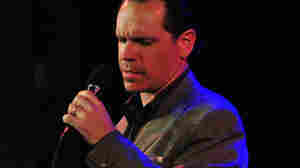 November 17, 2012  There isn't a modern-day pianist with a greater love for Tin Pan Alley than Bill Charlap. Watch him take circuitous routes through "All the Things You Are" and "Sophisticated Lady." 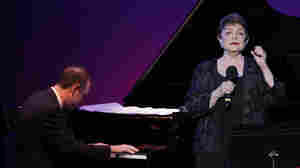 August 1, 2013  Rosnes and Charlap just finished a six-concert season of Jazz in July at the 92Y in New York City. 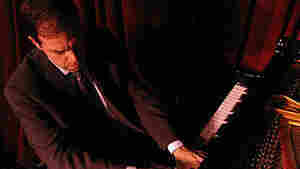 Hear the two-piano duo make a "unique sound that is the sum of both of us" at the Kennedy Center. August 4, 2013  The New York pianist's trio is about as elegant as it gets. 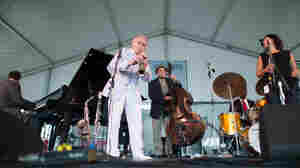 It's crashed by a clarinet summit when a veteran reedman straight outta Sidney Bechet arrives, and a young star joins in the fun. May 13, 2007  When jazz pianist Bill Charlap and his mother, singer Sandy Stewart, get together in a studio, their harmony is as easy as their affection for each other. 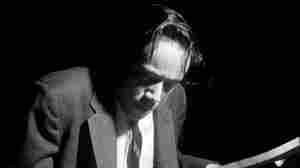 The album of 11 jazz standards they recorded together documents their love for each other, and the American songbook. 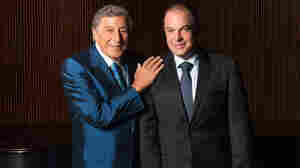 December 1, 2006  Singer Tony Bennett originally recorded "I Left My Heart in San Francisco" in 1962, and has sung it at every performance since. We go inside the studio with Bennett as he re-records his signature song. October 18, 2004  In a companion broadcast with PBS, NPR presents "One Family of Jazz" — the opening night gala concerts at Lincoln Center's Frederick P. Rose Hall, its new state-of-the art home for jazz in the Time Warner building on Columbus Circle in New York. April 22, 2004  Jazz critic Kevin Whitehead reviews the new CD from pianist Bill Charlap Somewhere: Songs of Leonard Bernstein. 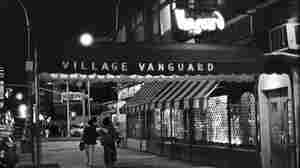 May 5, 2008  For jazz musicians, playing at the Village Vanguard is a special event. To record there is a rite of passage. How can you not bring your best stuff, knowing who brought theirs before? Here are five notable glimpses into the world's most famous jazz joint. 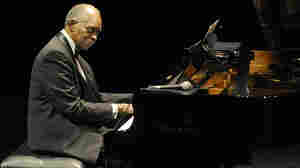 August 6, 2010  Legendary pianist Hank Jones was one of Marian McPartland's first guests when she began Piano Jazz more than 30 years ago. 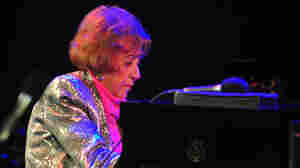 Jones died earlier this year, but in this 2009 session, McPartland asked another of her favorite pianists, Bill Charlap, to take a turn on the host's bench to catch up with Jones. 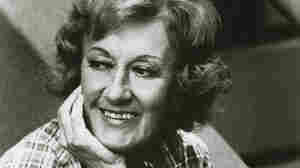 October 9, 2009  For three decades, Marian McPartland has showcased both jazz veterans and young stars on Piano Jazz, her hour-long NPR program. 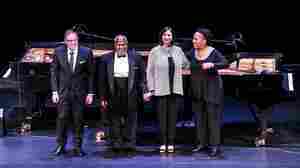 For the anniversary, past guests Kurt Elling, Karrin Allyson, Randy Weston and many others showed up at Dizzy's Club Coca-Cola to celebrate a jazz radio institution.